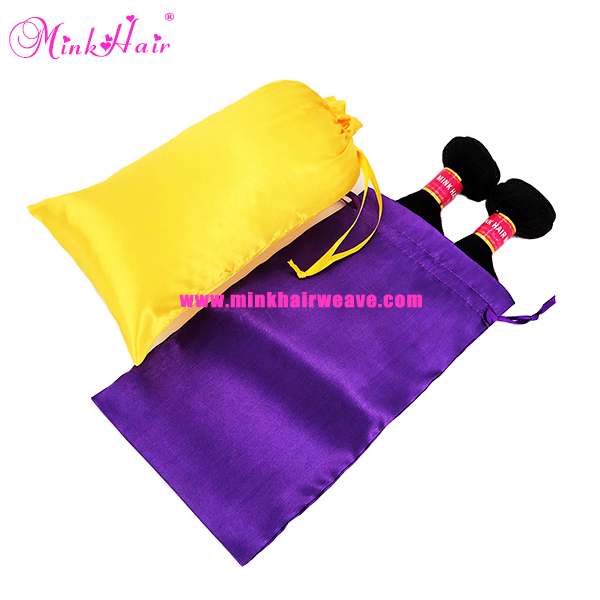 ♦ Size 18*30cm $1.2/piece: The Size 18*30cm Can Fit 3 Bundles. ♦ Size​​​ 23*30cm $1.4/piece: The Size 23*30cm Size Can Fit 5 Bundles. ♦ Add The "Size" "Color" And "Quantity" To Shopping Cart Firstly. Please Select "Size 18*30cm" "Color Pink" And "Quantity 10" to Shopping Card. ♦ If You Need Different Colors, Please Add Them To Shopping Card One By One. Thank you dear! ♦ We don't accept Refund/Return after Shipment. 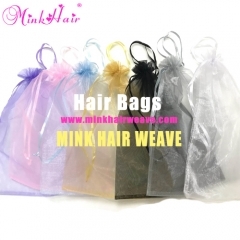 ♦ Since the shipping cost more expensiver than the bag's, we suggest customers order bags with hairs together. 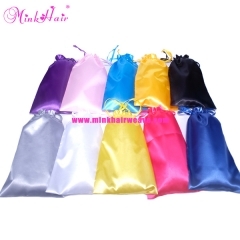 New Silk Head Wrap Hair Scraf Only $1.5 one P.. Silk Satin Hair Bags Drawstring Package Hair ..
Mink Hair Weave Hair Bundles Paper Adhesive L..
10pcs/lot Hair Bags Organza Bags Drawstring P..